The contemporary glass and brick exteriors, exquisite marble-tiled entries and sound-proofed office suites produce a working environment of hushed elegance at Paragon Centre. One Paragon Centre has space available to lease up to 6,277 S.F. Colby Station is one of very few locations still available in Winchester as growth in the area continues toward Colby Station Road. 4,108 S.F. 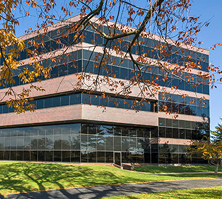 Leased at One Hamburg! 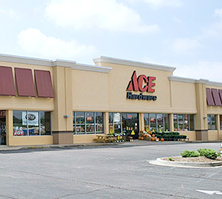 711 Big Hill Avenue in Richmond, Kentucky is Leased! Established in 1997, Coleman Group is a leading commercial real estate and property management company in Lexington, KY. 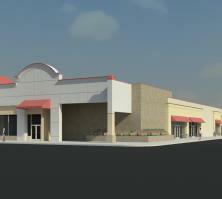 The company's success includes the redevelopment and redistribution of large commercial spaces like Lexington Green Mall and Meadowthorpe Shopping Center. Our goal is to help property owners lease commercial space, sell buildings, and provide top quality property management. We have an experienced and dedicated team of real estate professionals who strive to offer the best in real estate and management services to fulfill the needs our clientele. Coleman Group will list your commercial property and help you find a buyer or a renter for the space. 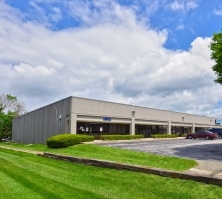 Whether it's an entire retail shopping center, warehouse space, or corporate office center, we have the experience you need to help with these properties. Our team of real estate professionals can provide you with a financial analysis of the property, assist with inspections, and manage your financials. If you're looking to buy a commercial space, we can help with that, too. Our agents will find the listings that meet your space requirements and show you ideal properties. If you own a property and need help with property management, Coleman Group has experienced real estate professionals who excel at focusing on the needs of each property. We will insure that your property remains in good working order both inside and out. We can manage necessary tasks like landscaping and cleaning, while also assisting with larger tasks such as invoicing, security, tax reductions, maintenance, and work orders. If you need help in the Lexington, KY and/or surrounding areas with commercial real estate, call Coleman Group and speak to one of our representatives and learn more about how we can help. We've recently redesigned our site to be even more user-friendly and serve you better. At Coleman Group we are here for you. If you have any questions about our services please don't hesitate to ask. You are our number one priority and we look forward to our chance to prove that.